Online: www.npmc.nhs.uk. To do this you will need to visit the Medical Centre with proof of photo identification. You will then be granted access to "SystmOnline" and provided with a username and password. 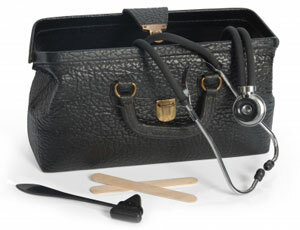 Please not this is currently only available for GP appointments. Please can you let reception know at time of booking your appointment if you or your child may be infectious. To enable us to be able to look after your care more effectively, and to the best of our capabilities, each of our doctors works with a buddy. This means they work together and cover each other’s work load when one is away or not available. Working in this way helps with trying to maintain continuity of care for patients and avoids any gaps in your care. Attached is a Appointment Flow Chart which explains the appointment system at the Medical Centre. These available for pre-bookable appointments only - this will allow for those who find it difficult to visit their doctor during the week to access a GP at the weekend. If you cannot keep your appointment please let us know in good time so it may be given to someone else. 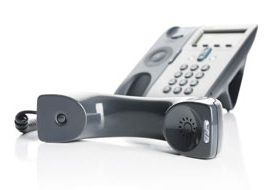 Telephone calls may be recorded for quality and training purposes. As with all consultations, confidentiality will be maintained at all times. We are now able to text appointment reminders to those that have registered their mobile number with the practice. When a patient books an appointment, a confirmation text will be sent to them. They will also receive a reminder text the day before the appointment. We are hoping that this will reduce the number of missed appointments. Please help us by ensuring we have your correct mobile number on our system. You can do this by calling in at the Medical Centre or completing the consent form. House bound patients and those too ill to attend the Medical Centre may request a home visit by phoning 01908 611767 before 10.00am. The receptionist will ask for brief details of the problem so the doctor may judge the urgency of the visit. Please attend surgery if at all possible. If you would like to speak to a doctor or a healthcare professional on the telephone, please arrange a time slot by calling our appointment line - 01908 617111. For calls arranged before 10.00 this will usually be in the morning. For calls arranged after 10.00 it will be after 15.00 in the afternoon. The receptionist will ask for a brief outline of the problem and will arrange for a consultation with one of our doctors or, if appropriate, another healthcare professional. Prescriptions produced during telephone consultations will not be available to collect until after 12.00 if it was a morning consultation of after 17.00 if it was an afternoon consultation. In general, your usual doctor will manage your day to day medical needs including prescriptions, administration, paperwork and test results. In certain cases you may be seeing a different doctor for a specific reason and normally that doctor will manage that condition and any tests or prescriptions or referrals associated with it. Overall you will still be regarded as a patient of your usual doctor for everything else. We do recognise that some patients prefer to see a specific doctor for certain kinds of condition, and there is no restriction on patients booking to see that doctor to discuss that condition. This does not change your status with your usual doctor by doing this. In general we do not encourage patients to make appointments to discuss changing their doctor, as this is best carried out by the administration department – we will always try and accommodate a request for a change of named usual doctor please make your request in writing to the Operational Manager. The practice currently experiences a large number of missed appointments each and every month which has a serious adverse effect on the number of available appointments left for other patients. In an effort to address this problem, if you miss 3 or more appointments in a given period, we will notify you in writing that further missed appointments will result in your removal from our list and you having to find another GP. In 1995 the Road Traffic Act changed the rules regarding road traffic accidents and the charging for care given. In the past A&E used to charge for this, now this has moved to General Practice. All UK motor insurance policies cover such fees and payment of such fees does not constitute any admission of liability. Because of this we are now in a position of having to charge for this care, but the driver of the vehicle is able to claim this back from their motor insurer. The driver of the vehicle at the time of the accident is liable for all costs (which they can then claim back from their motor insurer.) You will need to supply us with the drivers details. We will inform you of this on booking the appointment if possible, or if not when you arrive for your appointment. From the 1st of November 2014, we regret that we shall not be able to carry out lifestyle (or so-called ‘MOT’) tests, such as repeated cholesterol or blood pressure checks, where there is no clinical reason for doing so. We all know that the NHS is under severe financial pressure at the present time, and we have to concentrate our resources on the patients who are really in need. For this reason, we have to limit NHS lifestyle checks to those patients who are eligible for them, and they will receive a letter of invitation. If you are unsure about your position, do please ask us. Naturally, we shall honor all existing bookings, and if you need it, we can provide advice on how to secure a private health check. We are grateful for your support for this decision. It's not a 999 emergency. But you need medical help fast? There is now a 111 number to call. It is a new NHS telephone number being introduced to help make it easier for you to access local health services. You can now call 111 when you need medical help fast, but it is not a 999 emergency. You will be assessed, given advice and directed straightaway to the local service that can help you best. That could be A&E, an Urgent Care Centre or Minor Injuries Unit, an out of hours GP, community nurse, emergency dentist or a late opening pharmacist. You can ring the 111 number 24 hours a day, 7 days a week, 365 days a year. Calls from landlines and mobile phones are free. There is a typetalk service (18001 111) for the deaf and hard of hearing. NHS 111 is a fast and easy way to get the right help - wherever you are, and whatever the time. It can also help us free up 999 and local A&E departments so that they can focus on emergency cases. 111 will get you through to a team of highly trained advisers, who are supported by experienced nurses. They will ask you questions to assess your symptoms, and give you the health care advice you need or direct you to the right local service. The NHS 111 team will, where possible, book you an appointment or transfer you directly to the people you need to speak to. Calls to 111 are recorded. All calls and the records we create are maintained securely, and will only be shared with others directly involved in your care. You need medical help fast, but it is not a 999 emergency. For less urgent health needs, you should still contact your GP or local pharmacist in the usual way. If a health professional has given you a specific number to call when you are concerned about your condition, please continue to use that number.